Online gaming has become very popular due to its flexibility. However, it presents its lovers a myriad of risks, most of which are similar to those encountered by internet users. Regardless, this should not dissuade you from venturing into this modern fun hub. Below, we have outlined 5 of the most recurring threats online gamers face and appropriate precautions to safeguard you against each risk. Genuine game cracks, cheat codes and patches are designed to improve game play by availing additional features and fixing identified problems in previous versions of games. Sadly, cyber criminals usually exploit this loop hole to introduce various malicious programs in the guise of badly needed game cracks and patches. These fake fixes may sometimes perform the advertised function but their malice usually executes in the operating system’s background. They are engineered to corrupt the system, gain partial or complete control of it or perpetrate other online crimes like remote mining of virtual currency. The best protection against this threat is to keep your device’s firewall and anti-spyware software updated and activated at all times. This will block corrupt, counterfeit and malicious software from being downloaded and installed in your gaming device. You should also make it a habit to download and install gaming material from authentic websites only. Theft of access credentials for an online gaming device and online gaming account is usually conducted in a variety of ways, the most rampant being through spyware that capture and send log in details, personal information and other sensitive data.Such spyware relies on social media connections and instant messaging services to lure gamers to download infected content. For instance, it may be in the form of an invitation link to join an elite group of online players. Online gaming sites that support online user communication are prime targets for these attacks. When your access credentials privacy is compromised, fraudsters can remotely access your gaming device’s database and services and launch any number of crimes including identity theft, fraud, virtual currency theft or sabotage your online gaming data. As a precaution against this risk, you should always download and install all gaming prerequisites and facilities from trusted and licensed websites. Additionally, you are advised to frequently change the pass codes that restrict access to your gamer and online account. Furthermore, you should refrain from using similar authentication codes for different platforms as this would provide easy illegal access to all your data in case one platform is compromised. Malicious software that threaten online gamers include viruses, Trojans, worms and ransomware among others. They’re programmed to aim at either cripple the gaming device by crashing its operating system or seize control of it. Some malicious programs attack online gaming accounts and block several games’ features until the demanded ransom is deposited. The best protection against the threat of a malicious software attack is to always maintain updated and activated versions of anti-virus and anti-spyware suites. It’s also paramount to make a habit of backing up your gaming data on cloud databases for easy retrieval in the unfortunate event you data is compromised by a malicious software. Cyber criminals sometimes slyly impersonate reputable service providers and send enticing attachments, links and prompts that are geared to trick clients to reveal sensitive information like access credentials, personal information and credit card particulars. Through phishing, cyber predators are able to engage in online crimes like identity theft, fraud and virtual currency theft. 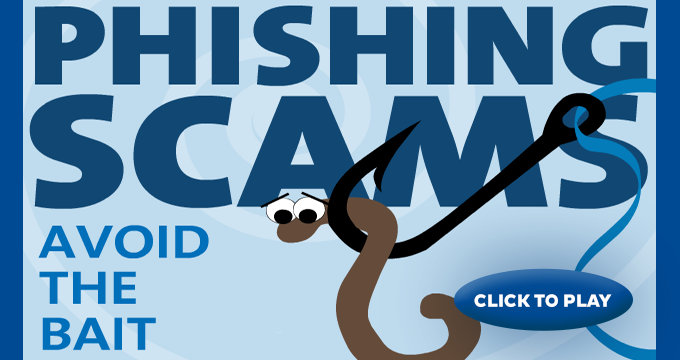 Although a widespread cyber crime, phishing is combatable. To steer off phishing criminals, always be wary and very careful when you receive online prompts asking you to provide personal data especially that pertains to finances. In addition, keep off submitting sensitive data on online forms as this provides an easy route for the submitted details to be tracked. Furthermore, always open links embedded in emails on separate browser windows to prevent phishing websites from logging sensitive information from your email account. Moreover, it’s vital that you keep your online gaming device’s internet security suite updated and active to fight fishing. Norton TM Internet Security package is an ideal example as it automatically recognizes and blacklists fraudulent websites. Gaming on smart phones, tablets and PCs requires you to install gaming apps on your device. The avenues for acquiring these apps present vulnerabilities that cyber criminals frequently exploit to avail seemingly official and genuine apps that are, in retrospect, malicious programs. Some fake apps create backdoors for remote access of your gaming device and online account by an online attacker. Consequently, the cyber criminal may be able to perform various illegal tasks like virtual currency theft and sabotaging your gaming data. The surest safeguard against this threat is to always acquire your online gaming apps and their updates from reliable formal websites. This will enable you to avoid fake apps that may otherwise be impossible to distinguish from genuine ones. Hopefully, this short guide will ease your efforts in identifying potential threats in online gaming and provide you with combative precautions for each threat. With this information, you should be able to enjoy your gaming time when playing on poker99 and other gaming sites.